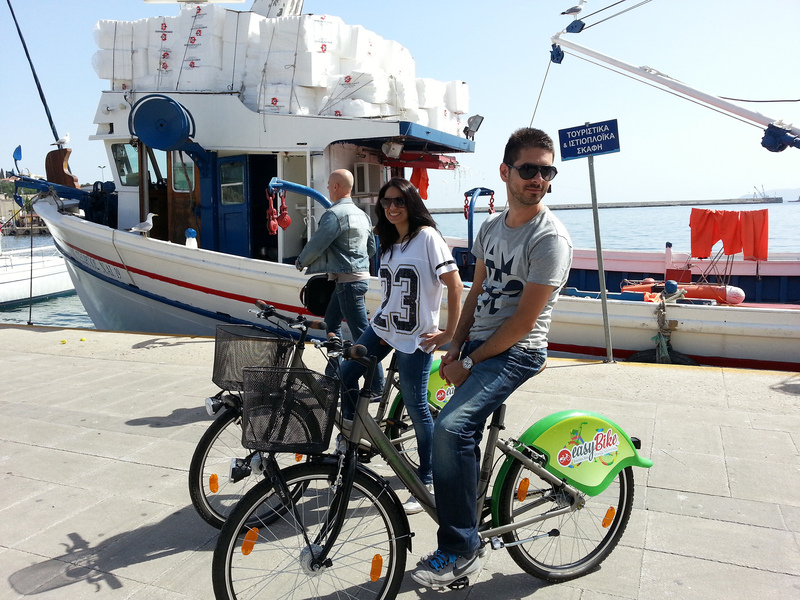 Instructions on how EasyBike works, the latest generation bicycle sharing system, upon take and return a bike. 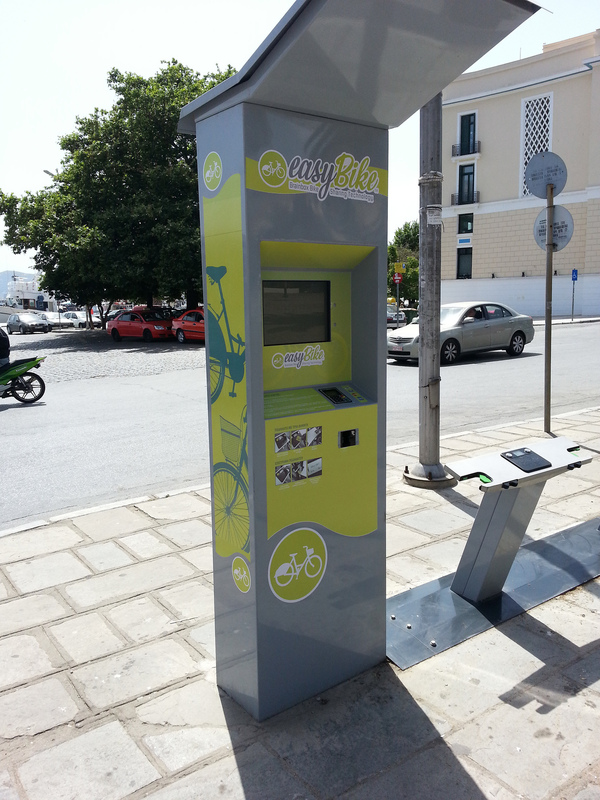 The citizen goes to the rental station and by using the electronic card (subscribers) or credit card releases a bike. Each bike has a distinct unique number. 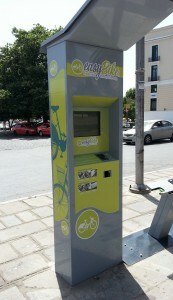 In this way the user releases the specific bike which is assigned uniquely through the system to the user and begins the route. Along the way, if necessary, the bicycle can be locked short term, for a job, etc. before returning to a station. The bike can be returned at any station. The owner simply places the bike in the special parking base where it locks. 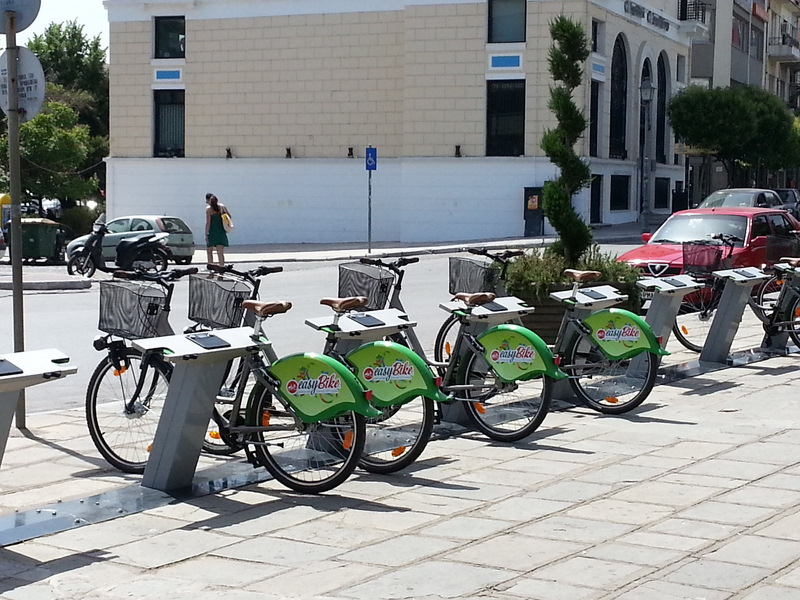 Recognised by the system, the identity of the bicycle is returned and calculated in real time during the rental.